Britain has long had a reputation for designing and manufacturing some of the most classic, high-quality men’s footwear in the world. While a few venerable brands have trickled across the pond to New York, it is a fashion necessity which has been long overdue for an overhaul. 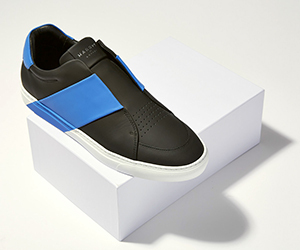 Enter Contemporary British footwear brand Harrys of London, which has engineered a revolution in men’s footwear. Eschewing the traditional Goodyear welted rubber and leather sole Harrys of London went high-tech and has not looked back. Created in 1990 in Italy by Massimo Losio, Technogel® is a unique soft-solid gel material that lacks any plasticizers (oils) and is soft, pliable, odorless and shock absorbent, in short an ideal material to protect our precious feet. Massimo saw its potential application for those using wheelchairs and hospitalized for long periods in bed and thus founded Royal Medica, a company that brings this material to a wider customer base. In fact, you may already be using Technogel®. It’s widely used in homes, offices, and medical facilities. That wrist rest for a computer keyboard or mouse pad are prime examples for everyday users. And the chair pad you’re sitting on probably has Technogel®. The miracle wonder has long been invigorating everyday experiences with cool cushioning and superior ergonomic support—from cycling, sitting, and sleeping. In the sports world, have you ever noticed NFL players wearing various braces for their arms or legs? That’s Technogel® in use where the brace comes in contact with the skin. Harrys of London, in collaboration with Technogel®, developed a full gel innersole that offers excellent cushioning and a new kind of comfort, which is soft, stable and functional. Thanks to its distinctive 3D conformability, the innersole adapts to the unique shape of your feet, from heel to toe, so you enjoy pressure relieving support with just the right amount of flexibility. Technogel® resists hardening due to temperature or age, and most importantly non-irritating to the skin. Since being introduced for the Fall/Winter 2017 season, all footwear has featured the innovative 3D Technogel®. The innersole has been designed to fit all the casual and formal footwear and is produced in nine different shapes. 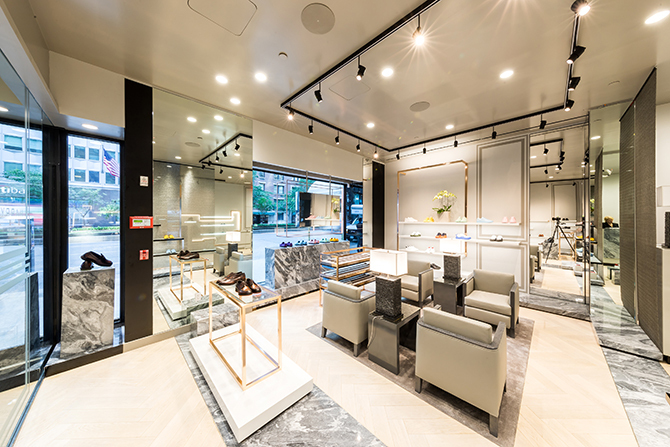 Harrys of London has already amassed a discreet following of celebrity clients comfortably fitted in their pair of shoes that feels like sneakers. 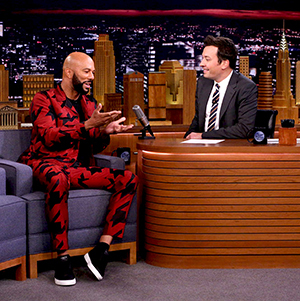 They have been seen on the feet of Oscar and Grammy award-winning Common who recently appeared on NBC’s The Tonight Show Starring Jimmy Fallon looking cool in a pair. 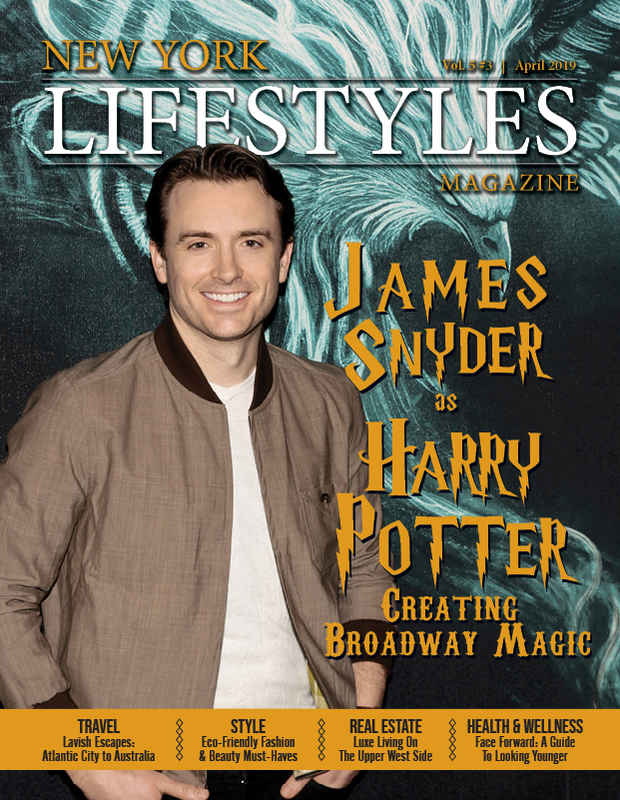 The 14-time Grand Slam Tennis champion Novak Djokovic was spotted off-the-court as well as actors Joseph Fiennes, Michael Shannon, Richard E. Grant, Richard Madden, and Director Ridley Scott to name a few. The best part of this story is you don’t have to travel to London for a pair of these shoes. Rather Uber your way to 463 Park Avenue for a fashionable way to step out in style. For more information on Harrys of London, visit harrysoflondon.com.